An Owensboro native, Shannon graduated from Apollo High School. She attended Western Kentucky University where she studied Physical Education/T eacher Education. Finding a teaching job was difficult so she started working in finance with Education and Training Resources in Bowling Green, Kentucky. Shannon and her family lived in Bowling Green for 12 years before recently deciding to move back to Owensboro. Shannon was hired at the OMPC in April 2018 as the secretary. Her duties include a variety of booking functions including accounts payable and financial record keeping. 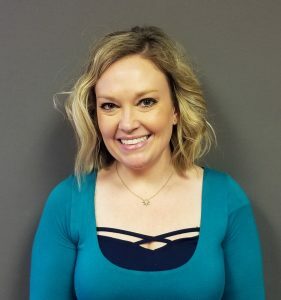 Shannon is the office contact person for the OMPC accountant and provides assistance for the yearly audit in providing necessary information and documentation as requested. She is also responsible for maintenance of personnel files, office supply inventory and other functions as required by the Executive Director.